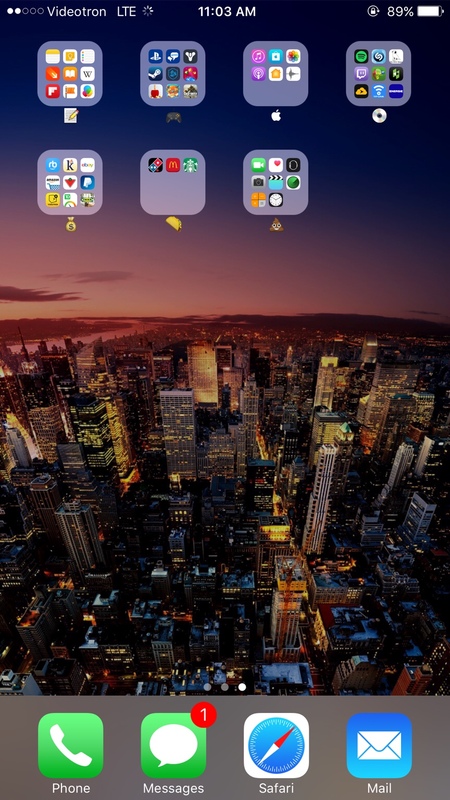 Will be cool to see what apps people have on their first screen and what widgets everyone prioritizes! Last edited by SaMaster14; 07-02-2016 at 04:55 PM. SaMaster14, jaysun930, redbirdsfan and 1 others like this. Gabebcn, SaMaster14 and redbirdsfan like this. 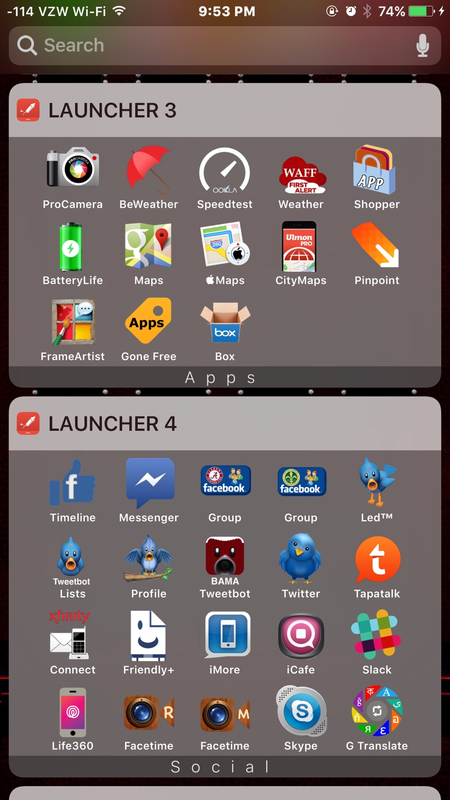 Is anyone using Launcher widgets on iOS 10? If so, what does it look like? redbirdsfan and PrincessB like this. 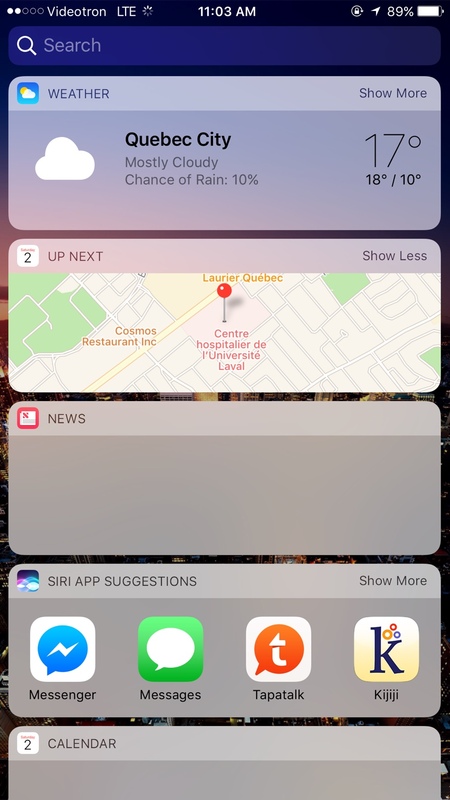 How I can get that official iOS 10 wallpaper? SaMaster14 and redbirdsfan like this. Just playing with it, so I don't have the full version. ladyc0524, SaMaster14 and redbirdsfan like this. The dev said some would work and some not. 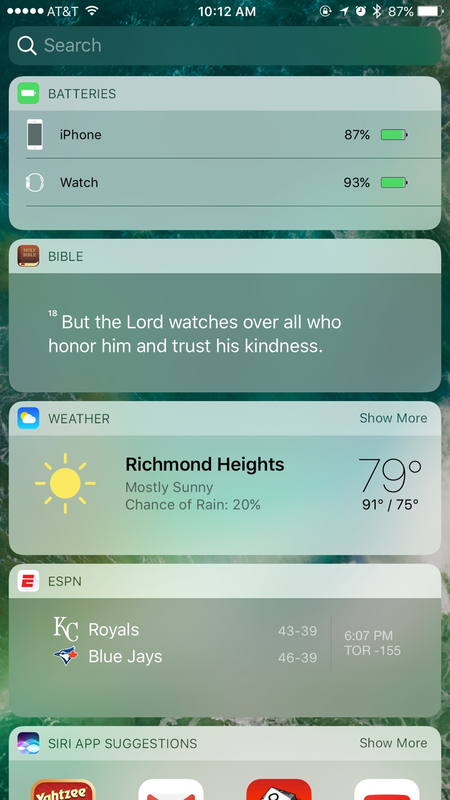 I use png icons for all my widgets. Not sure how that's gonna work. Thanks! Yes, I saw you mentioned that in another thread. Luckily for me all the ones I've added work. Although I'll more than likely uninstall it as I don't see much use for it. Neat for a few minutes though! Think I'll shoot the dev an email or contact via Twitter and see what's up. How do you get the batteries in the screen?? 1. 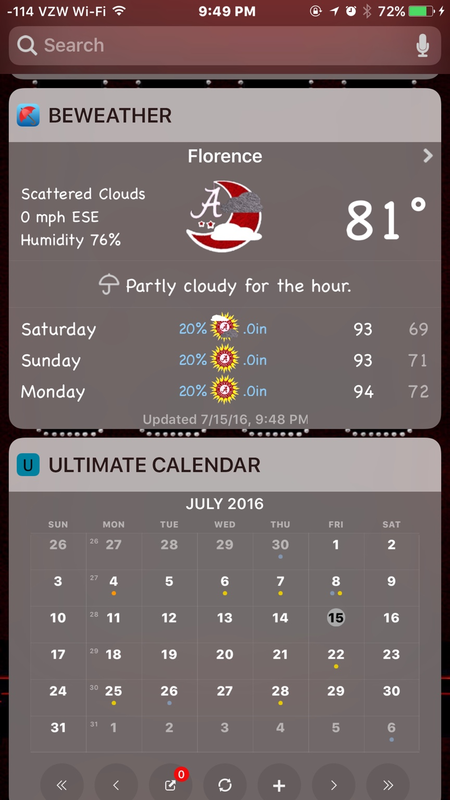 Swipe to the right on the screen to reveal the widget screen. 2. Scroll to the bottom to select "Edit". 3. 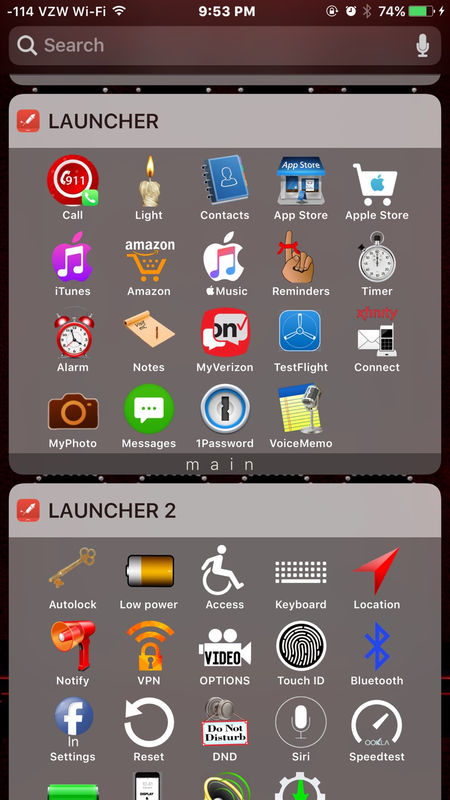 Locate "Batteries" and then select the + sign in front of it. 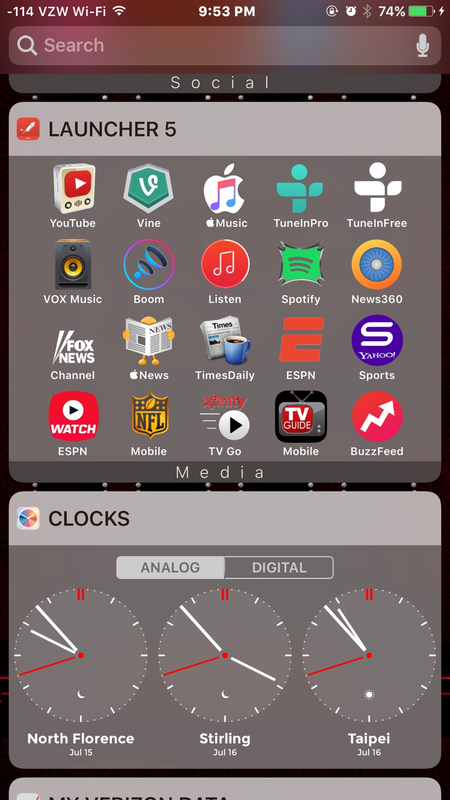 It won't show unless there's another gadget with it. Like the Watch or a Bluetooth headset. 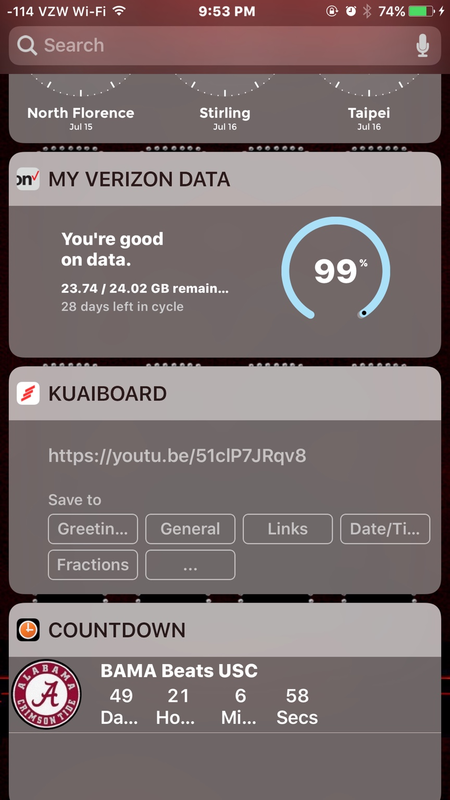 Is your iPhone connected to a Bluetooth device? If not, that's the reason you don't have the option. TwitchyPuppy, SaMaster14 and redbirdsfan like this. 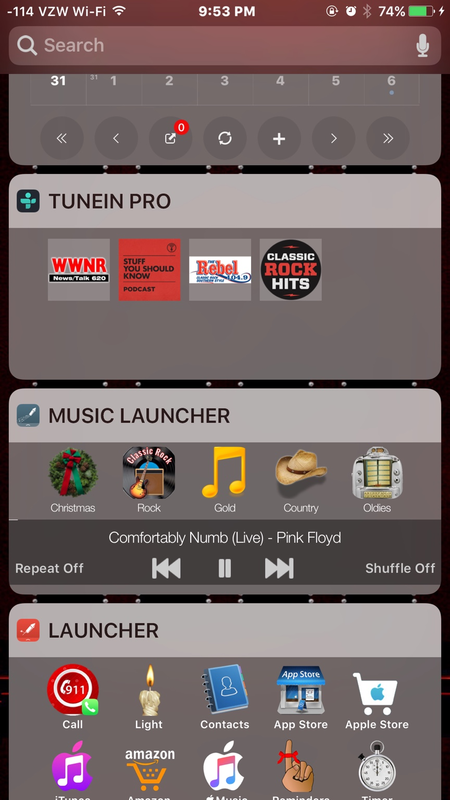 If your iPhone is not connected to a Bluetooth device like an Watch or a Bluetooth speaker/earphones then you will not see the option for batteries in the widget section. SaMaster14, jaysun930 and PrincessB like this. Do you use Dropbox to store your photos? 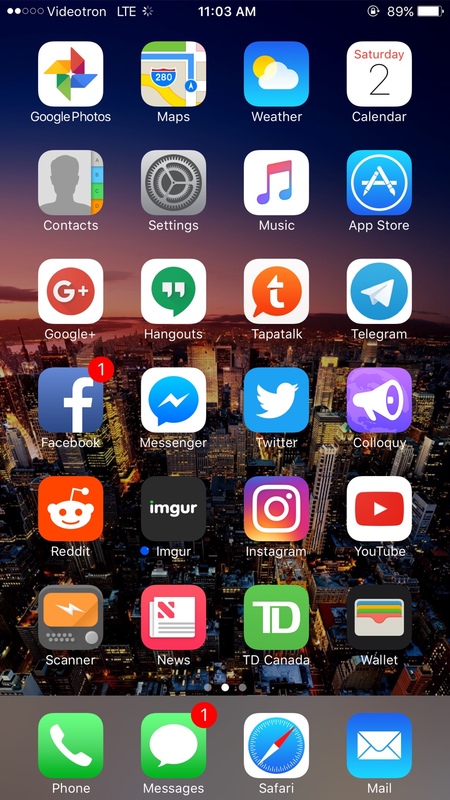 No message icon on iOS contact list.